Dave’ exciting new SF adventure! In the first full-length novel featuring the popular character Chanda Kasmira, the “frontier ambassador” devotes years of her life and career to saving the inhabitants of the planet Splendor from the planet's coming destruction. Her latest effort fails. Life on Splendor faces more danger than ever before. 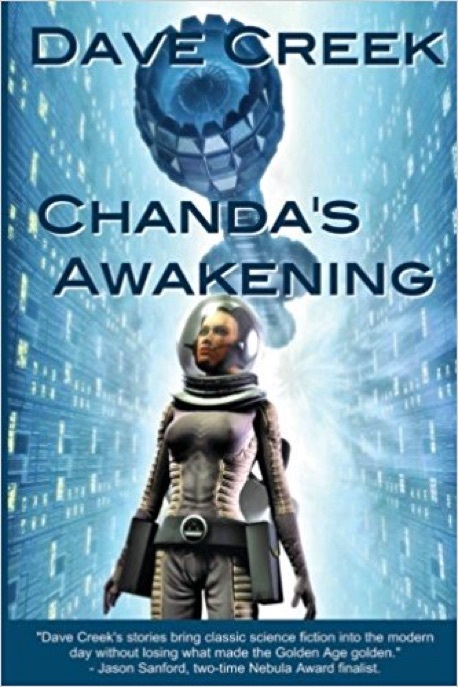 Disheartened, Chanda places herself into a "long sleep," intending to awaken decades later to a brighter future for Splendor and its people. After following Chanda’s adventures on the planet Splendor in several short stories, it was a great pleasure and challenge to write a full-length novel about her. I hope you follow Chanda’s quest to save the planet she’s come to love. This is a stand-alone novel, but if you want to check out Chanda’s earlier adventures on Splendor, you can check out my collections A GLIMPSE OF SPLENDOR, which features three Chanda tales, and THE HUMAN EQUATIONS, which features one.